Funko, the ubiquitous pop-culture toy maker has plans to open up a nearly 40,000-square-foot store in Los Angeles later this year. Funko is known for its vinyl figures that are based on popular movie, TV and comic book characters. It also reproduces real life athletes. The company has licenses with most big studios, including Disney (DIS) for its Marvel, Pixar and Star Wars characters, Warner Bros. for the DC Comics and Harry Potter franchises as well as Pokémon. The LA store will be located on Hollywood Boulevard, not far from the famous TCL Chinese Theatre. It will neighbor a Shake Shack and SoulCycle — in other words, trendy. Mariotti said the company is targeting both tourists and local residents. Funko already runs a retail outlet at its corporate headquarters in Everett, Washington. Mariotti said that when the company opened that store up, he thought it would be a hit with pop culture enthusiasts and Funko employees. The store wound up exceeding those expectations. Mariotti said moms with young kids are big fans. Many customers are repeat visitors, too. That proved to Funko that it might be a good idea to set up shops in cities that could attract a mix of local fans and enthusiasts willing to travel to the store. The new Hollywood location will let customers pose with life-size Funko figures and sit in a toy version of the Batmobile, he said. He added that the company was still working with the building developer and local officials in Los Angeles, so the store won’t be ready for a while. But he hopes to open it in time for Halloween. Parts of the store are being built in Washington and shipped down to California. 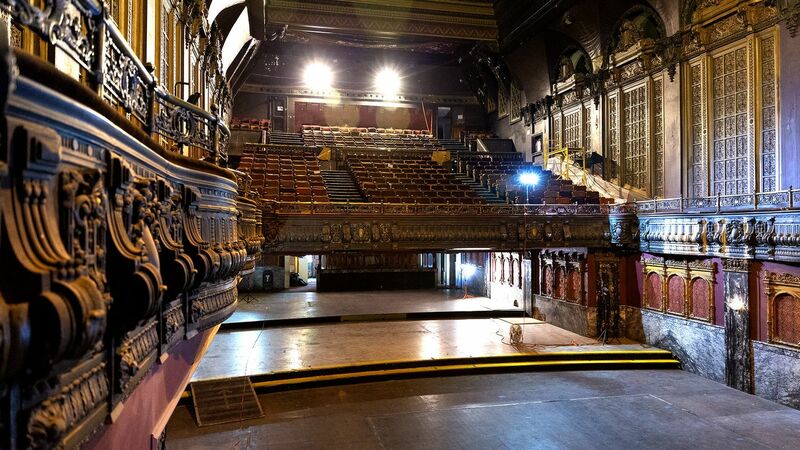 Apple has long been rumored to be working on plans for an Apple Store at the iconic Tower Theatre in Los Angeles, and today, Apple shared details on the upcoming location with the Los Angeles Times. 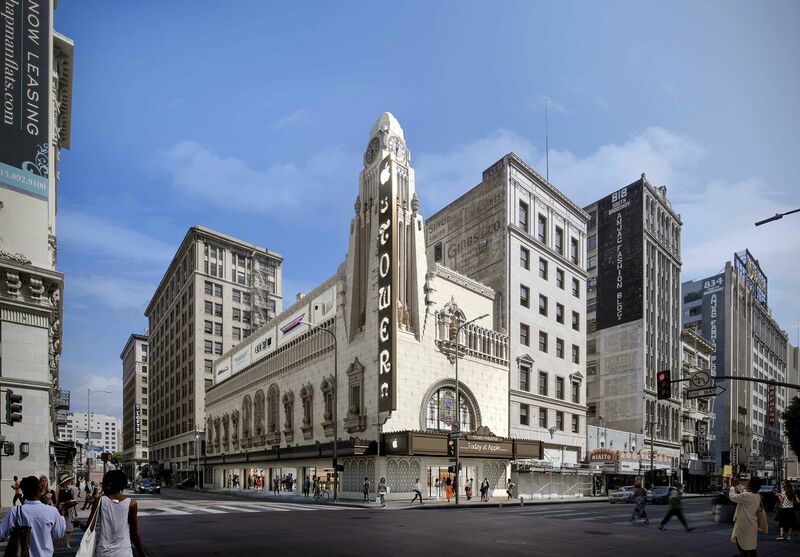 According to Apple, the Tower Theatre store will be one of the world’s most prominent Apple retail locations when it is completed, with the company planning to entirely overhaul the interior of the building to turn it into retail space and an interactive community area. 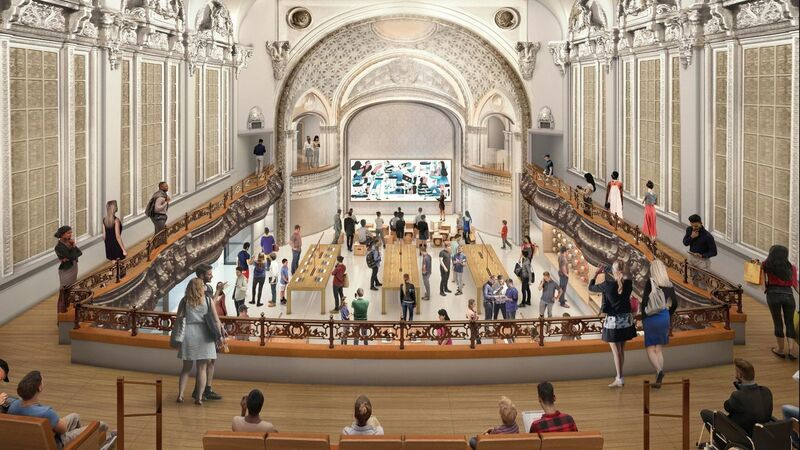 In a rendering shared by Apple, the Tower Theatre store preserves the ornate Renaissance Revival style of the interior of the theatre for an Apple Store that will indeed be one of the most unique. 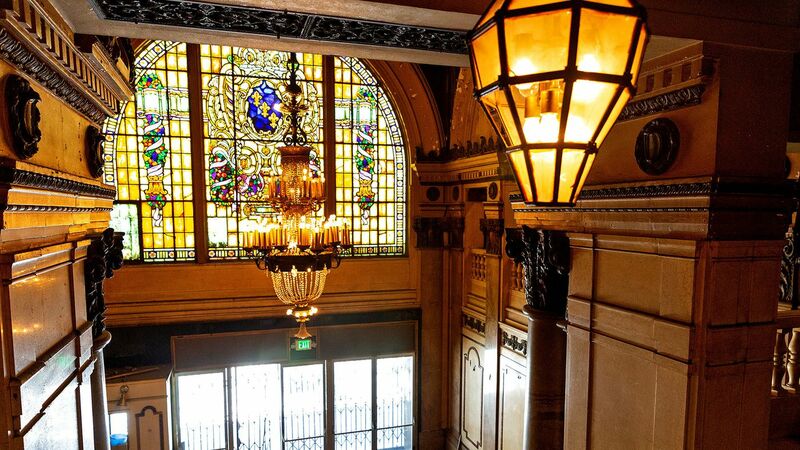 The building, which features French, Spanish, Moorish, and Italian elements, was built to mimic the Paris Opera House. 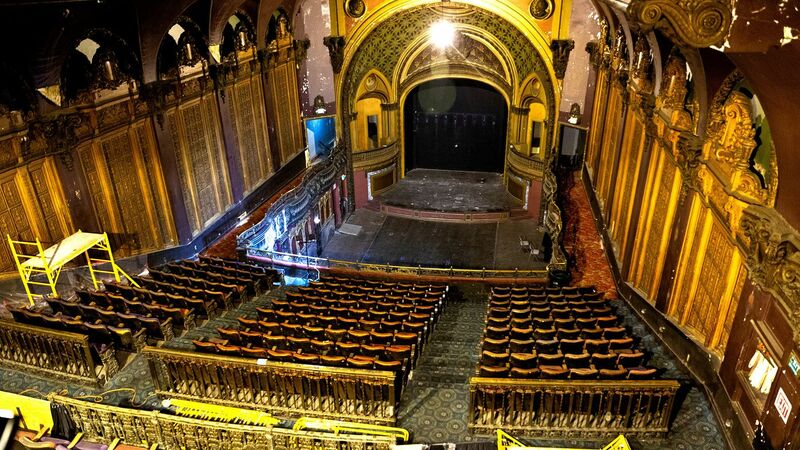 Apple is aiming to file plans with the city this week to gain approval for its planned renovation of the location. Toys R Us is going into hyperdrive and preparing an out-of-this-galaxy, global celebration for the upcoming debut of toys based on the next chapter of the Star Wars™ Saga at 12:01am on Force Friday, September 4. Counting down to the highly anticipated toy launch and this fall’s new theatrical release, Toys R Us stores worldwide and Toysrus.com have transformed into Destination: Star Wars, every fan’s retail source for The Force with hundreds of new products, including those only available at Toys“R”Us. 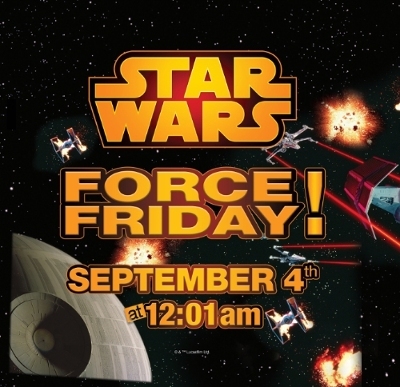 On Force Friday, Toys R Us stores around the globe will open their doors for special midnight opening festivities, providing customers of all ages the opportunity to be among the first to purchase must-have merchandise, receive exclusive giveaways and immerse themselves in all things Star Wars. The company’s international flagship store, Toys“R”Us Times Square in New York City, will host a historic Star Wars toy exhibition leading up to the grandest midnight opening celebration of all, welcoming legions of eager fans with costumed characters, signing events, giveaways and more all day on Thursday, September 3. Leading up to Force Friday, stores in each of these countries will count down the minutes to 12:01am on September 4 with digital clocks, as well as Star Wars-themed microsites on each of their respective e-commerce pages. Social media users can follow the company’s worldwide midnight openings on each country’s social media channels, as well as via the Toys R Us U.S. Twitter channel, @Toysrus. When the clock strikes 12:01am on September 4, all Toys R Us stores in the U.S. will open their doors, giving customers the opportunity to be among the first to purchase hundreds of new Star Wars playthings, including a wide variety of merchandise they can’t find anywhere else. * As an added bonus, little Jedi Knights and their families attending midnight opening events will have the chance to receive special giveaways, including a limited edition LEGO® Star Wars Commemorative Brick and an exclusive Star Wars poster, while supplies last. ** Also at midnight on Force Friday, shoppers will be able to browse and purchase the new products online at Toysrus.com/StarWars. Those eager to count down to the highly anticipated toy debut can now find digital clocks at all Toys R Us locations nationwide and online at Toysrus.com/DestinationStarWars. Beginning on Force Friday, dedicated Star Wars feature shops will be found at the front of all stores nationwide, featuring a combination of figures, construction sets, accessories and more, plus updated countdown clocks reset to tick off the minutes to the release of the new movie. Additionally, gamers can now preorder Star Wars Battlefront, the ultimate Star Wars video game experience, along with Disney Infinity 3.0 Star Wars, at Toys R Us stores nationwide and online at Toysrus.com/StarWars. For the latest Destination: Star Wars news and updates, fanatics can follow @ToysRUs on Instagram and Twitter, as well as Facebook.com/Toysrus. Followers are encouraged to post photos of their Star Wars toy empire, themselves dressed in their best Star Wars cosplay and their midnight opening experience, as well as engage with one another and Toys R Us using #DestinationStarWars. The biggest midnight opening celebration will take place at the company’s international flagship store in New York City, Toys“R”Us Times Square, where fans of all ages are encouraged to come dressed as their favorite Star Wars character and take part in dozens of one-of-a-kind activities designed especially for Star Wars aficionados. The World’s Greatest Toy Store is kicking the party off early with a special exhibition featuring prototypes, originals and early editions of some of the best-known Star Wars toys in the world, curated by Rancho Obi-Wan, Inc., a non-profit museum that houses the Guinness World Record-certified largest collection of Star Wars memorabilia. Presented prominently throughout the store, “Destination: Star Wars – The Experience,” will be on display from Wednesday, August 26 through Monday, September 7 and will feature dozens of notable collectibles based on all six feature films from the Star Wars Saga, including the original first four mail-away action figures from 1978, a large-sized Chewbacca figure in never publicly-released The Empire Strikes Back packaging from Kenner Products and a rare 2003 LEGO Star Wars Cloud City building set. – A book signing and meet and greet with Steve Sansweet, Chief Executive Officer and President of Rancho Obi-Wan, Inc., storied Star Wars author and former Head of Fan Relations and Director of Content Management at Lucasfilm Ltd.
– An art class and meet and greet with fan-favorite Star Wars and science fiction artist, Jeff Carlisle. – Star Wars product demonstrations and activations throughout the store, including Star Wars-themed 3-D action figure creation with 3D Plus Me, video gaming on Disney Infinity 3.0 Star Wars kiosks and experiencing intergalactic sound on Star Wars-themed headphones powered by SMS Audio. – A LEGO Star Wars make and take for rebels looking to build their toy empire brick by brick. – A Light Saber Academy with members of New York Jedi, a community of cosplayers, martial artists and teachers who share practical stage combat techniques oriented toward Light Sabers. – Photo opportunities with costumed characters, including Furbacca, a character versioned after the Hasbro toy that makes wookiee sounds like Chewbacca, Geoffrey the Giraffe and more. – Ice cream flavors inspired by the Star Wars Saga from Scoops R Us, the flagship store’s in-house ice cream shop located on the Lower Level. – Star Wars-themed cookie decorating at a “Wookiee” Cookie Party on Level 1. – Special giveaways for the first fans in line, including a Collector’s Edition LEGO Star Wars Commemorative Brick, an exclusive, limited edition Star Wars poster and a Star Wars Character Flashlight from JAKKS Pacific. – Star Wars trivia, a costume contest and a galaxy of excitement and prizes, while supplies last, for those fanatics waiting in line. – A panel discussion with Steve Sansweet and Jeff Carlisle for select lucky fans, which will also be livestreamed via Periscope @Toysrus on Twitter. – The ultimate unveiling of the official Toys“R”Us Times Square Star Wars feature shop at 12:01am on Force Friday, September 4. Barnes & Noble, the nation’s largest retail bookseller and the leading retailer of content, digital media and educational products, announced a pop culture celebration in its stores nationwide from July 18 through August 10. Get Pop-Cultured with Barnes & Noble will bring to life customers’ favorite books, characters, DVDs, artists, illustrators and pop culture icons with themed events, author signings, panel discussions, contests, exclusive content, giveaways and prizes, sneak peeks, activities, and more. Starting Friday, July 18, and running through Sunday, August 10, Get Pop-Cultured with Barnes & Noble will bring exclusive and unique fan experiences to customers across the country. The campaign will highlight the huge influence that books, graphic novels, movies, TV shows, music, toys, games and collectibles have on our culture. Customers can enter the exclusive Get Pop-Cultured Sweepstakes from NOOK for a chance to win a $1,000 Barnes & Noble Gift Card, a Warner Bros. Studio VIP Tour for two, and many other great prizes by visiting the NOOK counter at their local Barnes & Noble. For more information on what’s happening during Get Pop-Cultured month, customers can visit their local Barnes & Noble store or http://www.bn.com/GetPop-Cultured. More fun and excitement can be found on Twitter and Instagram using the hashtag #GetPopCultured, and on the Barnes & Noble Facebook page at www.facebook.com/barnesandnoble. Get Pop-Cultured with Barnes & Noble gets underway July 18 with a special Preview Weekend and Costume Contest and continues through August 10 with a fun-filled Page & Screen Weekend. In between are fantastic events, activities and giveaways for customers of all ages. Each week will feature themes that highlight different ways customers can Get Pop-Cultured! Get Pop-Cultured with Barnes & Noble kicks off with a Preview Weekend designed to provide fans with exclusive sneak peeks of hot new titles by their favorite authors and illustrators. All Barnes & Noble stores will have limited quantities of free, never-before-seen chapter samplers from upcoming releases, posters and digital downloads, and customers can enter for a chance to win prizes and more for the most buzzed-about authors, books and DVD titles of the summer. On Saturday, July 19, all stores will host a Get Pop-Cultured Costume Contest. Customers of all ages are invited to come to their local stores dressed as their favorite characters. Costume-wearing customers can post their pictures on social media using the hashtags #GetPopCultured and #Contest for a chance to win special prizes. Additionally, the Barnes & Noble Café will give costume-wearing customers $1 off any beverage on the day of the Costume Contest. Greeters will hand out the $1 off coupons to customers dressed in costume as they enter the store. For more information, visit www.bn.com/GetPop-Cultured. DC Comics is the creator of a pantheon of massively popular characters including Batman, Superman, Wonder Woman, Green Lantern, The Flash, Aquaman, Hawkman and The Green Arrow, as well as superhero teams the Justice League, The Watchmen and the Teen Titans. The DC Comics Spectacular from Wednesday, July 23, to Sunday, July 27, offers fans the opportunity to celebrate DC Comics with fun activities, special giveaways and a 5-day only offer on all DC Comics graphic novels. The DC Comics Spectacular kicks off with Batman Day on July 23, a celebration of the Caped Crusader’s huge influence on pop culture. It’s been 75 years since Batman first appeared in Detective Comics #27. Since his auspicious debut in 1939, Batman has become one of the most popular superheroes and cultural icons of the last century. Barnes & Noble is celebrating the Caped Crusader’s enormous influence on pop culture on Batman Day, Wednesday, July 23, in all stores nationwide, with exclusive Batman merchandise. Highlights include a Batman exclusive comic book giveaway (limited supplies) of a special edition 75th anniversary collector’s issue featuring the original Batman story (issue #27) and Brad Meltzer’s re-imagined story of Batman’s origins (#27 New 52 series); giveaways of bags, bookmarks and buttons and the chance to win a Mini Bat Signal. Barnes & Noble has partnered with FUNKO, creator of POP!, the Legacy Collection and ReAction Figure Lines, to offer customers the opportunity to purchase never-before-seen exclusive collectibles that can only be found at this summer’s premier comic convention. 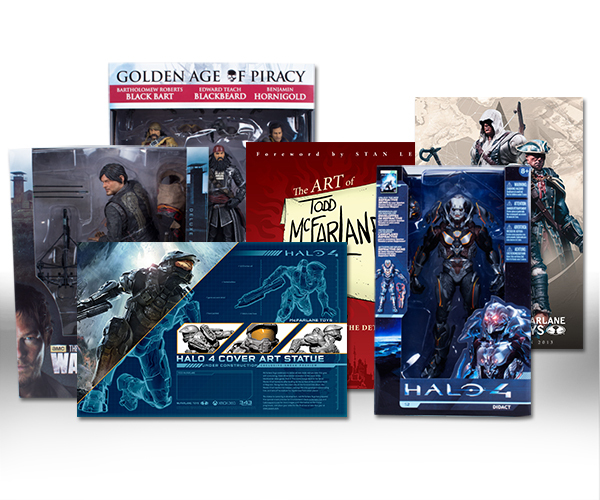 Barnes & Noble is thrilled to be able to make convention exclusives more accessible to fans from Thursday, July 24, to Sunday, July 27. In addition, 25 lucky customers per store will receive a FREE Funko POP! TV Collector’s poster with the purchase of any regularly priced POP! collectible. Frozen Friday: Cool Off with Olaf! – August 1 at 7 p.m.
Barnes & Noble is celebrating Disney’s Frozen, the highest-grossing animated film of all time, with “Frozen Friday: Cool Off with Olaf!” a sing-along and Storytime event on Friday, August 1. Barnes & Noble stores nationwide invite fans of Olaf, everyone’s favorite summer-loving snowman, to a sing-along of Olaf’s “In Summer” song, a special Storytime, and crafts and activities such as building a sand castle and making a snow cloud and snowflakes so Olaf can go to the beach. Frozen Friday will thrill fans of all ages and prove to be the coolest summer celebration this year! Marvel is celebrating its 75th anniversary this year and Barnes & Noble is honoring that milestone with a special Marvel Day in stores nationwide on Saturday, August 2, featuring fun activities, giveaways and product offerings. With the release of Guardians of the Galaxy on August 1, customers will want to explore Barnes & Noble’s vast Marvel offerings and will have the chance to win a variety of merchandise including Marvel tote bags and Marvel 75th Anniversary posters. James Patterson has broken just about every record there is for a bestselling author. He is the first author to achieve 10 million eBook sales, and holds the Guinness World Record for the most #1 New York Times bestsellers of any author. Since Patterson puts the pop! in popular fiction, Barnes & Noble stores nationwide are hosting a James Patterson Day on Sunday, August 3 with fun activities, special giveaways and prizes and a special one-day only in-store offer on James Patterson books and audios. After numerous adaptations, book series and merchandise spinoffs, America’s favorite “crime fighters on the half shell” are back with the August 8 release of Michael Bay’s Teenage Mutant Ninja Turtles movie. To celebrate, Barnes & Noble stores nationwide are hosting a Turtles – Jr. Ninja Training Academy Event during the week of August 4, with exciting activities and crafts, plus a fun-filled Ninja Training event, where participants will be trained as ninjas and receive a special Jr. Ninja Training Academy certificate. For more information on the timing of this event at your local Barnes & Noble store, visit www.bn.com/GetPop-Cultured or ask a bookseller. The Get Pop-Cultured campaign concludes with a celebration of some of the hottest products in pop-culture. The Hobbit, Doctor Who, The Fault in Our Stars, The Maze Runner, A Game of Thrones and The Walking Dead are just a few of the great properties that have appeared on both page and screen and this fun-filled weekend celebrates the relationship between books, eBooks, movies and TV shows. Throughout the Get Pop-Cultured campaign, stores across the country will welcome customers’ favorite authors, illustrators, and celebrities, including Chris Colfer, Deborah Harkness, Christopher Paolini, Jim Starlin, Sherrilyn Kenyon, James Dashner, John Scalzi, Alyssa Milano, Buzz Aldrin, James Patterson, Malcolm Gladwell, Grumpy Cat and many more! The full list of special guests who will be in stores during Get Pop-Cultured, as well as Barnes & Noble locations where each will be appearing, can be found at: www.bn.com/GetPop-Cultured. Customers can enter the Get Pop-Cultured with Barnes & Noble Sweepstakes for a chance to win a $1,000 Barnes & Noble Gift Card and an exciting Studio VIP Tour for two at the Warner Bros. studios in Burbank, CA, plus many other great prizes. To enter, customers can visit the NOOK boutique at their local Barnes & Noble store anytime between July 18 and August 10, where they should look for the specially created Get Pop-Cultured NOOK App™ on the NOOK devices displayed. Pop culture fans should follow Barnes & Noble on Twitter, Instagram, Tumblr and like Barnes & Noble on Facebook for the very latest information on Get Pop-Cultured with Barnes & Noble, including announcements about upcoming events and promotions. Pop culture fans can also follow NOOK on Facebook, Google+ and Twitter. Barnes & Noble will be announcing many more exclusive events, including exciting author appearances and signings, as well as giveaways and exclusive content and products, throughout Get Pop-Cultured month. For a full schedule of local events and author appearances, and for more details regarding giveaways, competitions and sweepstakes, visit www.bn.com/GetPop-Cultured. Apple has confirmed that it will be holding its annual Black Friday sale again this year. Pricing hasn’t been announced yet. Discounted pricing will be available both online and in retail stores. The online part of the sale kicks off this Friday (November 29, 2013) at midnight and lasts 24 hours. You can shop on Apple’s website or through its Apple Store app. Brick and mortar sales will start when Apple stores open for Black Friday. 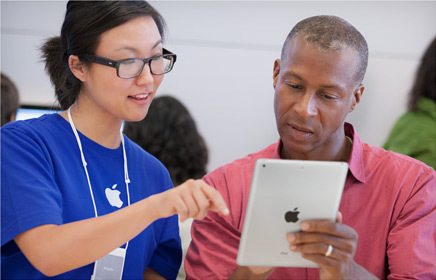 You can find a list of stores and their hours on Apple’s website. 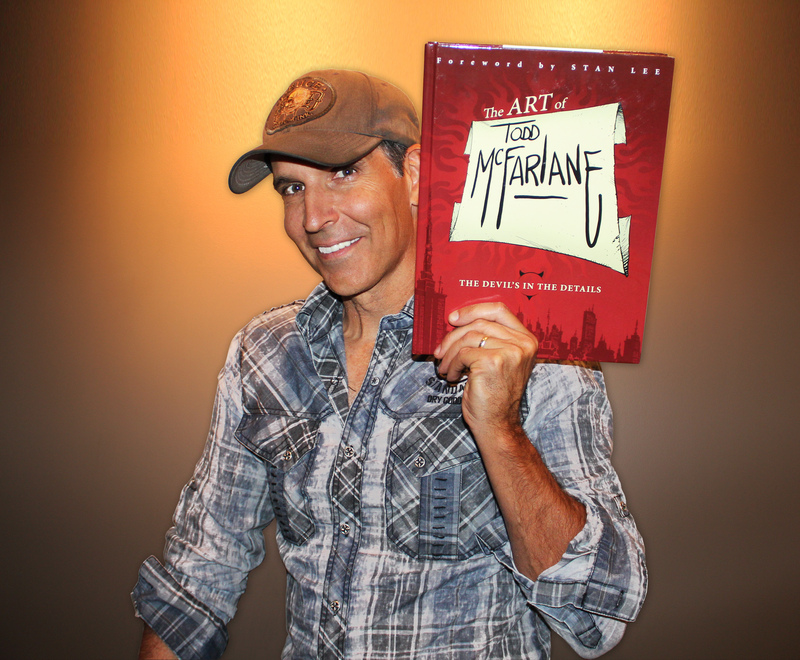 Spawn creator and McFarlane Toys Founder, Todd McFarlane will be doing a rare public autograph signing at his signature store in Westgate City Center on Saturday, Dec 7, 2013 from 12-3PM! The store will have the newest and hottest McFarlane Toys figures including figures from the hit TV show AMC’s The Walking Dead, the incredible Daryl Dixon 10-inch deluxe figure, figures from this year’s hit video game Assassin’s Creed along with the life-size, role-playing accessory, the Hidden Blade and Gauntlet, the signature weapon of the heroic Assassins, HALO 4 figures and the latest McFarlane’s Sports Picks officially league-licensed NFL, MLB, NBA and NHL sports figures. Spawn comics, trade paperbacks and graphic novels will be heavily stocked as well. The store also carries the season’s most recent collectible toys, including Star Wars, Marvel select , DC Universe, Funko Pop Vinyl, Nightmare before Christmas, Living Dead Dolls, Mini mates, Doctor Who, Star Trek, Hello Kitty, Monster High, My Little Pony, Lalaloopsy Dolls and huge selections of blind box figures, bobbleheads, travel mugs, reusable totes, lunchboxes, glassware and assorted plush from mainstream to urban. 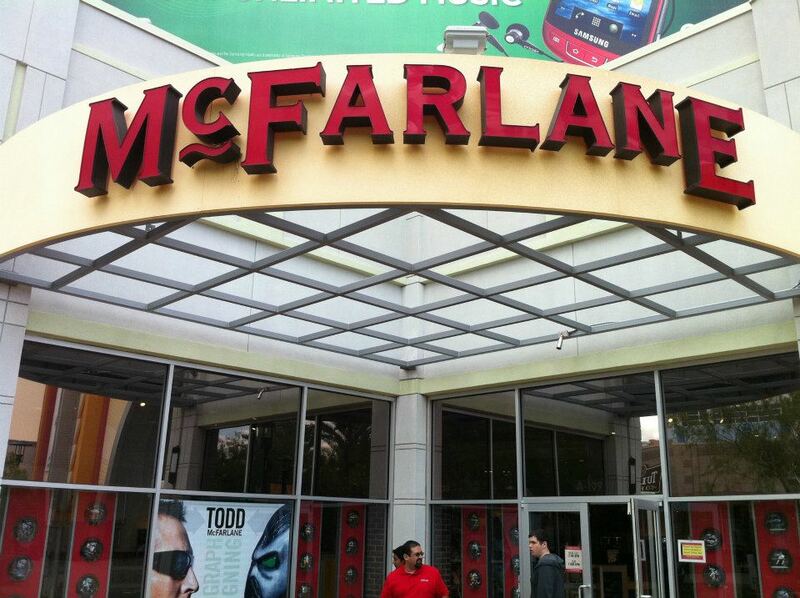 The McFarlane toy store is located within the Westgate City Center, next to the AMC Theater and adjacent to the Jobing.com arena. For more information on the signing, or any of the products available, call the McFarlane toy store (623) 670-5601. Autographs are limited to two items person. 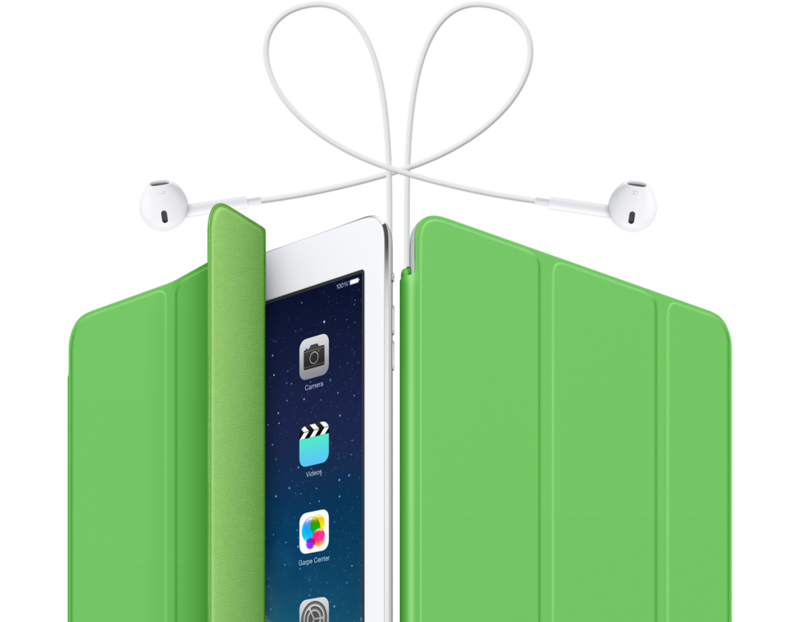 Apple has confirmed on its website that its retail stores will open at 8 a.m. on Friday November 1, 2013 for the launch of the iPad Air. Customers will also be able to order the iPad Air online on Nov. 1. Apple still lists the iPad mini with Retina display as “coming to stores later in November,” and will not be selling that model in stores during the Air launch. 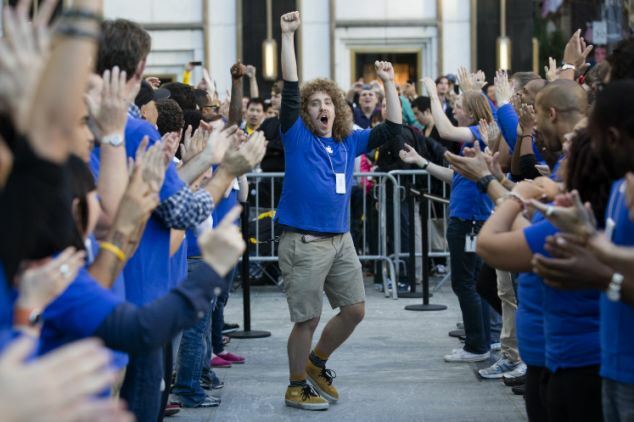 McSweeney’s posted this fascinating behind-the-scenes look at what it’s like for Apple’s retail employees on the most hectic day of the year, iPhone release day courtesy of pseudonymous Apple Store employee J.K. Appleseed. Go backstage at Apple Retail, the supercollider of human expectations and consumer technology. Target recently announced that Target Ticket, its new digital video service, is available to guests nationwide. The convenient service, ideal for families with children, gives guests an easy way to access and enjoy their favorite titles on their preferred digital channels and devices anytime, anywhere. Target partnered with Common Sense Media, a San Francisco-based non-profit organization best known for its reviews of movies and television shows. Through the partnership, Target Ticket gives guests access to thousands of reviews, making it easier for parents to choose the right content for their children. In addition to an overall quality rating, guests can set filters according to age-appropriateness, level of violence, profanity, MPAA and TV Parental Guidelines, putting guests’ in control of the content they deem appropriate for viewing. Parents can customize a profile for each family member, allowing multiple viewers to watch their preferred content simultaneously on different devices. – 30,000 movie and television titles available to buy or rent, download or stream at home or on-the-go, starting as low as $.99. – No subscription or sign-up fees, plus REDcard holders receive 5 percent off each purchase. – Premium selection of new blockbuster films. Current releases offered include “World War Z,” “Iron Man 3,” “Star Trek Into Darkness,” “The Croods” and more. – More than 50 popular next-day television shows including “The Walking Dead,” “Big Bang Theory,” “Teenage Mutant Ninja Turtles” and more. – Viewers can watch rented content as many times as they want within a 48-hour rental period. – Target exclusive bonus footage available in select movies. – Target Ticket will offer 10 free downloads on select movies for each new guest. Target Ticket is currently available on PC and MAC, Android and iOS, Roku, Xbox, Samsung televisions and Blu-Ray players, with availability on additional devices in the coming months. 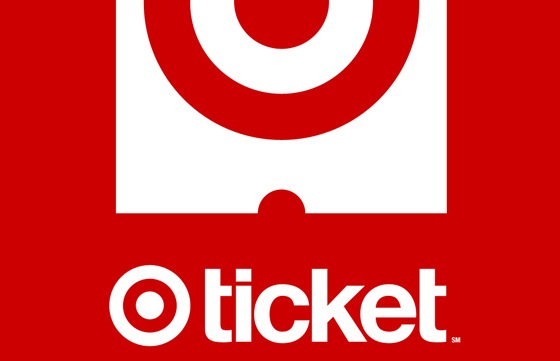 Guests can visit TargetTicket.com to access the service or download the Target Ticket app through the App Store or Google Play. Tomorrow, Saturday June 1st, Best Buy is offering a $150 trade-in credit for any functional iPhone 4 or 4S. 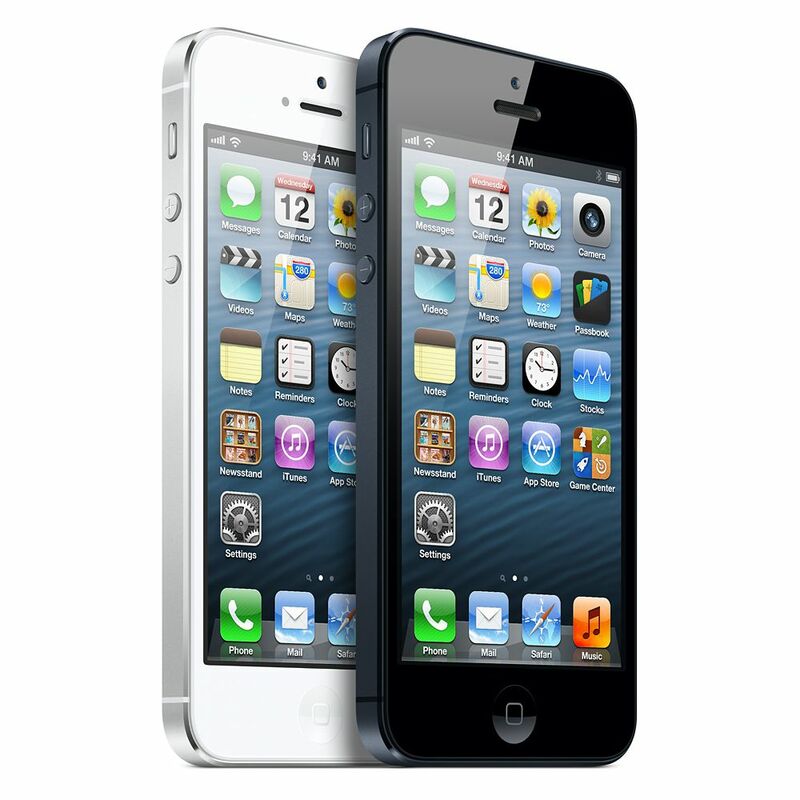 Couple that with the retailer’s recent $50 price cut for the iPhone 5 and you can walk away with a brand new iPhone 5 for free, except for any sales taxes and any applicable carrier activation fees. There are a few stipulations: you must be eligible for a phone upgrade and sign a two-year contract for the phone to get the offer. However you’re able to select the carrier of your choice. This deal will not be available online, only is stores!